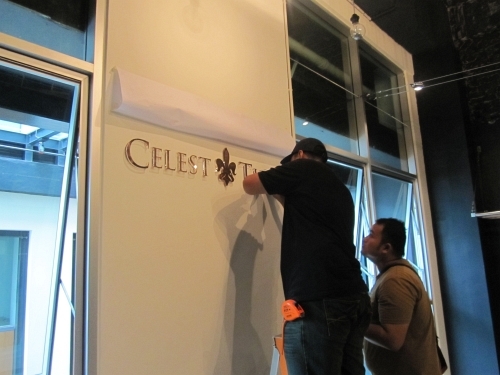 A Total Makeover @ Celest Thoi, Publika! Hello readers! 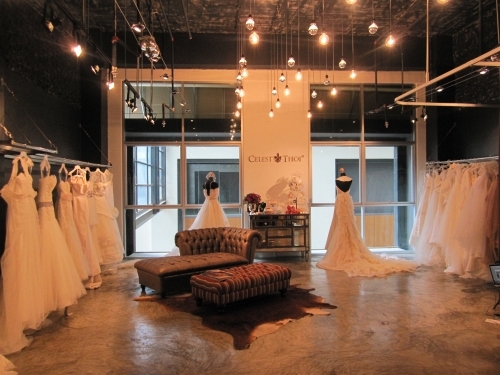 Its been a while since the store at Publika was opened, and if you’ve been over here, you’ll know what the interior of the place looks like. Since most of my stock are already in the store, most of the attention would be drawn to the wares, rather than the walls behind them. 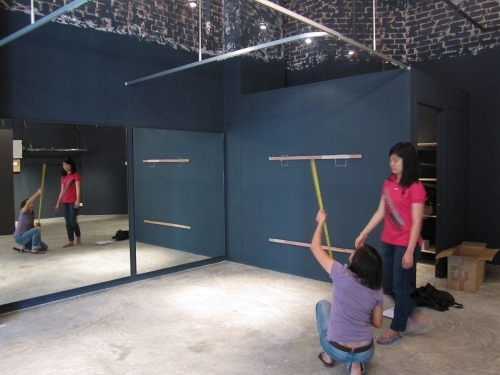 Looking back at my pictures, I can’t imagine the state my shop was in just a few months before! 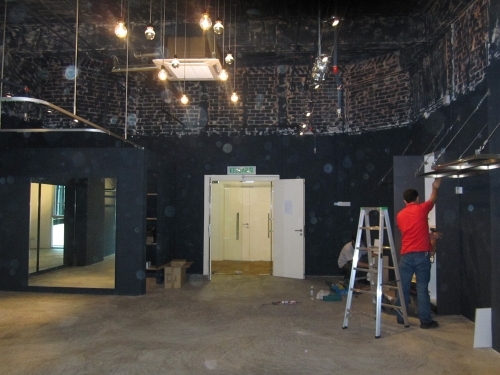 The original state of the Publika store was pretty much like an artist’s blank canvas; totally empty, and white. 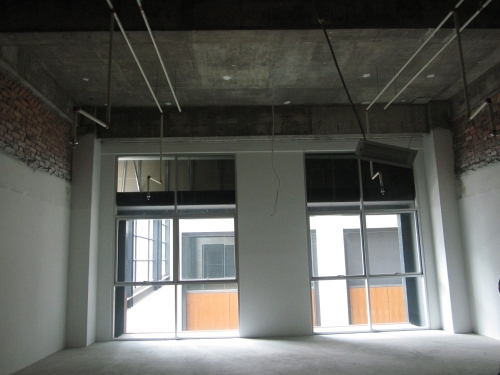 Do these windows remind you of an abandoned warehouse? They certainly did, for me. A rather derelict one at that. 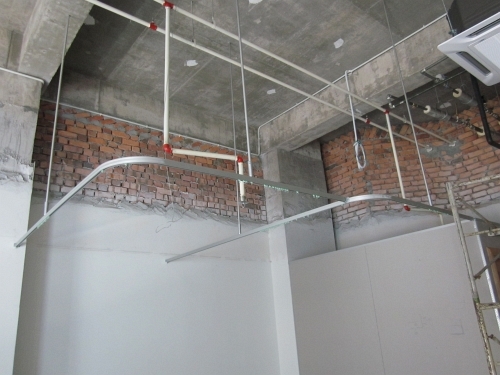 Metal pipes, girders, and air-conditioning ducts were just hanging around everywhere! 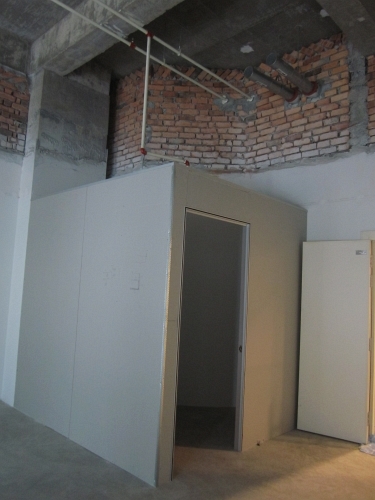 Once the renovation began, however, it wasn’t very long before the place started to take shape. With some input from my creative husband, and my own whimsical tastes, the store began to sport a more distinctive look. Dark walls, with some of the brickwork still showing, to maintain a slightly rustic feel, with a touch of minimalism. 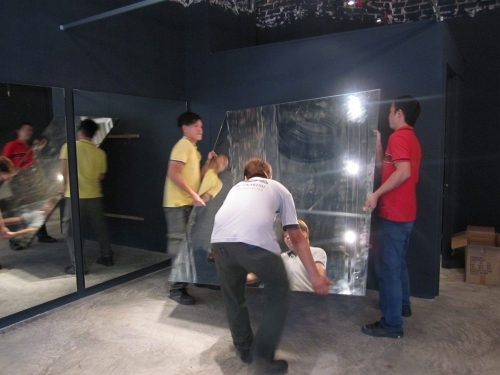 Carrying that mirror in was no easy feat! A huge weight to lug around and bring upstairs, it was an even harder struggle to get it into position. If anything happened to a mirror of that size, I’m sure it’d be a whole lot more than 7 years of bad luck. 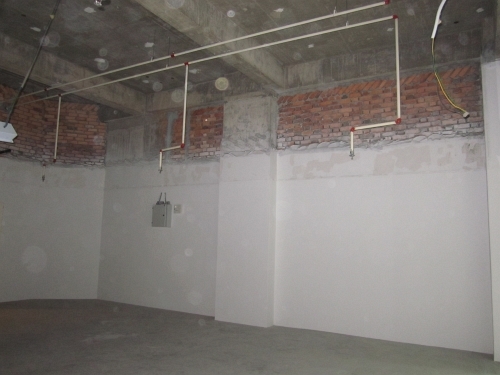 Remember those pipes, and girders and airconditioning ducts? Well, we kept those too! However, we slapped on a coat of paint over them, and hung tungsten bulbs around the ceiling, which bathes the interior with a warm glow. Now the shop feels more like home. Celest Thoi @ Celest Thoi. So if you’re in the neighbourhood, do drop by and do any of the above!